Heather Garriock has agreed to oversee the whole women’s football pathway in the ACT. Photos: Lachlan Roberts. 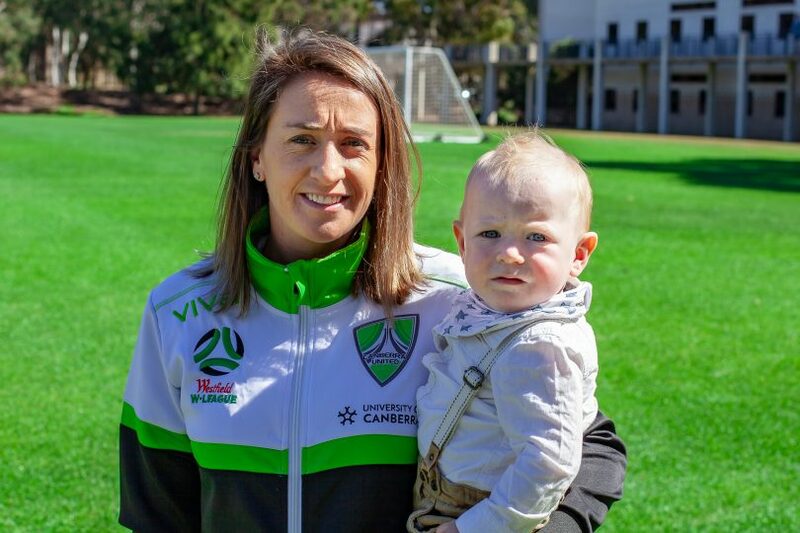 Canberra United has put its faith in Heather Garriock to lead the side back into W-league finals contention, re-signing the former Matilda for her third season as United’s coach with a new-look contact. Under her new contract, the former Young Matildas assistant coach will return to the club in the position as both head coach and will oversee the whole women’s football pathway in the nation’s capital, enabling her to coach all-year round. The newly created position is the first the competition has seen and will open an exciting avenue to help identify, monitor, nurture and support elite footballers through the Canberra United Academy and the Canberra United winter program that Garriock introduced last year. Garriock, who is one of the two female coaches in the W-league, said she was ecstatic to have a 365-day a year contract. “I am really excited to coach all year round and to be able to coach the younger generation, which is a passion of mine,” she said. “I think it is so crucial to get the pathway right, especially in the junior ranks. “It shows how serious Capital Football is in their investment into women’s football. For them to employ a full-time person to take care of that pathway is really important. I am just really excited to be a really big impact on that and influence the younger generation. Heather Garriock and Capital Football CEO Phil Brown all smiles at the announcement on Wednesday morning. Garriock believed the full-time position could give Canberra United an edge for seasons to come. “This isn’t a model replicated around the league and this is the only W-league program that has a pathway from under-eights right up to Canberra United,” she said. “It is fantastic to be part of a program and be part of Capital Football to really invest in women’s football. Since signing with the United before the 2017/18 W-league season, Canberra has underperformed compared to its usual lofty standards, finishing four and six points outside the top four during the last two seasons. But the club is adamant it is heading in the right direction and has laid the right foundations, trusting Garriock to end its two-season finals drought. Garriock recruited strongly ahead of last season, signing Scottish stalwart Rachel Corsie and the dynamic South African duo Refiloe Jane and Rhoda Mulaudzi while retaining the signature of Matildas star Ellie Carpenter. The head coach said her main goal is to retain the core of the squad from last season, with recruitment set to play a big part over the World Cup year. “Last season had its positives and I think the big positive was the culture amongst the team,” she said. 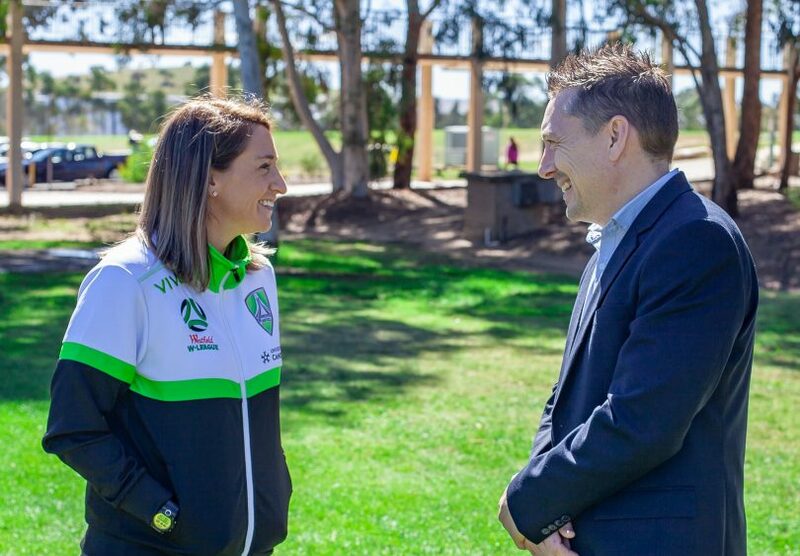 “I think we were missing a few key players so my goal for this W-league season to retain the core group of players from last season and to recruit some players to come in and make a real difference for Canberra United after the World Cup. “I don’t think we can have too much youth but I also dont think we can have too many players that are out of the capital. Tags canberra united Canberra United Academy faith in Garriock Heather Garriock new contract new-look contract W-League.